We herewith would like to bring your attention to a urgent situation emerging in the Caribbean. 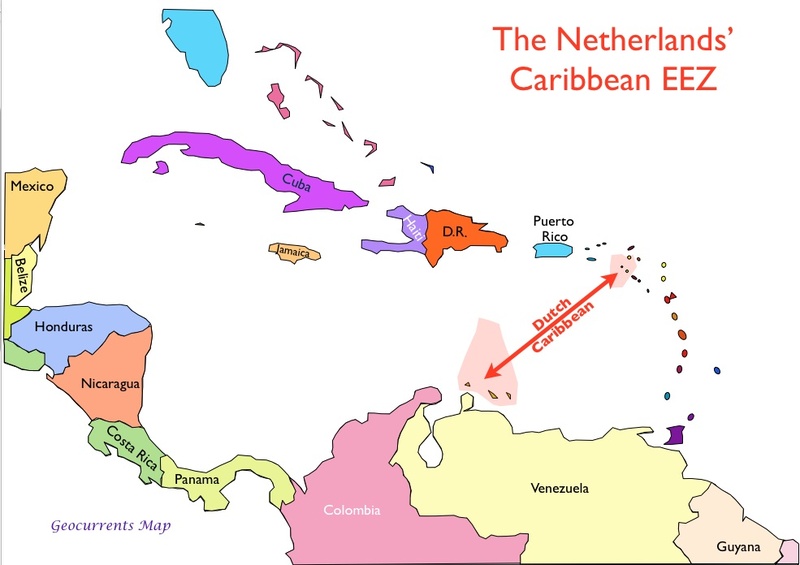 The peoples of our islands, Bonaire, Curacao and Aruba are worried and fearing that the Netherlands is using our ABC islands to start provocation that can lead to a armed conflict or war in the Caribbean and South America region. Last week many of heavy war machinery and vehicles were offloaded in the Curacao port. As the CARICOM and the Caribbean region is pursuing Caribbean integration and unity and has maintained itself as one of the only regions in the world free of war and conflicts. The Caribbean nations’ major economy and livelihood depends on tourism, the presence of the Dutch with a re-born aggressive re-colonization agenda launched on October 10, 2010, with the dissolution of the Netherlands Antilles and annexation and re-colonization of the smaller in-defensive smaller islands of Bonaire, Saba and Sint Eustatius could lead to a mayor Caribbean crisis and apartheid states. The new elected Dutch government in March 2017, appointed Mr Knops as States-Secretary of Kingdom Relations. Mr Knops, who is an experienced ex-military lieutenant colonel active in the Iraq war, with warfare credentials and seemingly for his military experience to carry out the Dutch agenda in the Caribbean. February this year, through an undemocratic decision by the Dutch parliament, Mr Knops headed this abusive undemocratic action, landed with 40 policemen and a navy vessel in the harbor of Sint Eustatius on standby, and overthrew the local legitimate democratic elected local government and appointed an non-democratic ruler and governor to govern the island of Sint Eustatius. Last week, on June 5, the Dutch parliament decided on a motion and instructed the minister of defence Mrs Bijleveld to consult and seek support from France, Great Britain and the USA, which also have interests in the Caribbean, to build up a “robust defense” and start militarization of the ABC islands. There is already heavy military equipment arriving in Curacao and military exercises experienced by the population as not normal are being conducted and our peoples on the islands fear being dragged into a possible major armed conflict or war between the world powers. The Netherlands campaigned actively to secure a seat in the United Nations Security Council in 2016, for the period of 2017 and 2018 but, due to a contested vote, with the possibility to lose to Italy, decided to strike a deal with Italy and to share the seat and was appointed this year and is currently a UN Security Council member. In April 2018, a Bonaire and Sint Eustatius delegation visited the CARICOM Secretariat Headquarters in Guyana where we met with Ambassador Colin Granderson, Assistant Secretary-General, when we denounced the Netherlands for a continuation of colonialism in the Caribbean by annexation through embedding of the islands of Bonaire, Saba and Sint Eustatius in the Dutch constitution in October 2017 under unequal rights and against the wishes of the Bonaire and Sint Eustatius peoples, who rejected the imposed status in their 2014 and 2015 referenda. Ambassador Granderson pledged to make a report of our visit and to distribute it along with our White Paper and Green Paper to all CARICOM members. Our cases and present undemocratic situations of our islands have been brought forward to Caribbean nations during our Bonaire and Sint Eustatius visit to United Nations Headquarters in New York; 2016 visit: UN Ambassadors of Antigua and Barbuda, Cuba, St Vincent and the Grenadines and Venezuela and yours truly Mr Finies, spoke and denounced our situation in the June International Week of Solidarity with the Peoples of UN-NSGT; 2017 visit: UN Ambassadors of Dominica, Saint Kitts & Nevis, Saint Lucia and other UN C24 member nations; in 2018 we had audiences in Guyana and Grenada with the Minister of Foreign Affairs, in Suriname with the Suriname government and spoke to the Honourable Ambassador Mr LaRocque, Secretary-General of CARICOM at the CARICOM-COFCOR conference in Nassau, Bahamas. A historical note is that October 10, 2010, when our peoples were sent back under Dutch colonial rule, ironically, is Columbus Day, the commemoration of the discovery and colonization of the American continent. Is all of this coincidence or are we facing another era of re-colonization of the Americas in the making and henceforth urge the CARICOM and Caribbean nations, through the upcoming CARICOM heads of states summit in July in Jamaica, to discussion and urgent action, to avoid further provocation and escalation of this unwanted situation and crisis in our peaceful Caribbean.